On 7 January 2017, the Chairman of the Parliament of Chechnya, Mr. Magomed Daudov, publicly threatened human rights journalist, Mr. Gregory Shvedov. 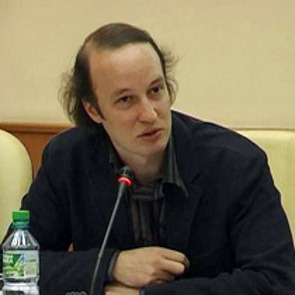 Gregory Shvedov is a human rights journalist and editor-in-chief of the Caucasian Knot. The Caucasian Knot is an independent Russian media portal founded in 2001 by the International Historical and Human Rights Society ‘Memorial’. The organisation covers current developments in the Caucasus region and employs a network of local correspondents. It is well known for its courageous reporting on human rights abuses, including those committed by Chechen authorities. On 7 January 2017, the Parliamentary Chairman, Magomed Daudov, published a post on his Instagram account entitled ‘How to untie the Caucasian Knot?’. In the post, the Chairman called Gregory Shvedov a “mongrel dog who goes by the nickname Shved”. He then threatened the human rights journalist, stating that he would “tame his tongue to a standard size” and “pull his wisdom teeth out” due to his writing about the Caucasus in the Caucasian Knot being utter “rubbish”. On 9 January 2017, Gregory Shvedov filled a complaint against the actions of Magomed Daudov before the Investigative Committee of the Russian Federation under Article 144 Part 3 of the Code of Criminal Offences of the Russian Federation (impeding legitimate and professional work of journalists) as he considers Magomed Daudov’s public statement to be a direct threat, not only against him, but against the entire journalist community in the Caucasus region. Reporting on current developments in Chechnya has become increasingly dangerous for journalists and human rights defenders. In September 2016, a human rights defender and independent journalist, Mr. Zhalaudi Geriev, who also works for the Caucasian Knot, was convicted and sentenced to three years imprisonment on falsified charges of drug possession. In November 2016, human rights defender Mr. Ramzan Dzhalaldinov received death threats and his family faced reprisals from high ranking Chechen officials following his exposure of corruption in Chechnya. Ms Elena Milashina, a human rights defender and journalist has also received numerous threats for her coverage of Ramzan Dzhalaldinov's story. I am deeply concerned about the threats against human rights journalist Gregory Shvedov, which I believe to be related to his legitimate and peaceful human rights work. 3. Guarantee in all circumstances that all human rights defenders in Russia are able to carry out their legitimate human rights activities without fear of reprisals and free of all restrictions.